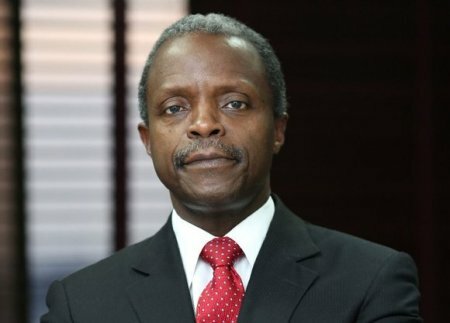 Acting President Yemi Osinbajo on Thursday approved the appointments of 21 new Permanent Secretaries in the Federal Civil Service. The new permanent secretaries include; Umar Mohammed Bello, Akpan Edet Sunday, Adebiyi Bolaji Adekunle, Aduda Gabriel Tanimu, Folayan Ayodele Olaniyi, Nabasu Bitrus Bako, Abdullahi Abdulazeez Mashi, Muázu Abdulkadir, Alibo Leon, Ehuria Georgina Ekeoma, Anagbogu Ifeoma Nkiruka, Walson Jack Didi Esther, Gekpe Grace Isu, Uwaifo Clement, Osuji Ndubuisi, Sulaiman Mustapha Lawal, Ibrahim Musa Wen, Odesola Olusade, Odewale Samson Olaide and Ekaro Comfort Chukwuebobo. The process of appointing the permanent secretaries began with 300 directors, who sat for examination. The number was reduced to 78 after 222 directors were dropped. Wait o do we really need them? What for? Hmmmm, and this people are people already works doing in other places na wah o.